The cataclysmic end of the world as we know it came without warning. No one knows who caused it. But in a single day most of humanity was gone. There are survivors. Trevor Sansing and his sixteen year old daughter, Sarah, are among the lucky few. They emerge from their underground, East Texas home terrified of what awaits them. But they must go out and find Trevor's wife, Connie Sansing, who was visiting the neighbor's home a couple of miles away when the disaster occurred. Outside, they are "rescued" by aliens in a marvelous space ship. They are brought to another world already populated by previous abductees during the past eighty years who have carved out scattered towns and villages from a hostile environment. Trevor and Sarah learn that Connie Sansing was also rescued and brought here by their alien benefactors. But they have no idea where she was left on this new world. Now they have to find her. On a world they come to call Destiny, they begin a perilous journey to do just that. Reeling from the shock of unpleasant revelations, Trevor and his daughter, Sarah, along with their new friends, indulge in a quest of discovery aboard the ship they now know as Mary. Earth shattering events keep pulling them to the forefront of uncontrollable turmoil in spite of their best efforts to just escape from it all. conquest of Earth. Their Homeworld is doomed, and it’s up to two courageous females in a male dominated society to stave off the inevitable. They smell conspiracy around every corner, and time is against them. If they fail, it will mean the end of the Asunimi and their world. 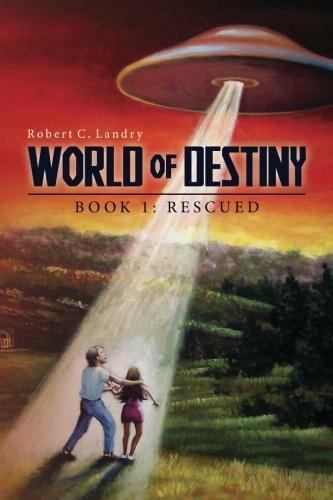 An Interview with Robert C. Landry, Author of World of Destiny series. How or why did you decide to become a writer? I was one of those shy, quiet kids whose nose never seemed to be far from the pages of a book. My mother told me to read a book one rainy day when I was complaining about being bored. She handed me a sci-fi book, and I was hooked from that day on. I went to college for a degree in English and always wanted to write. But I always was too busy trying to make a living and too tired from doing that to be creative. I didn’t get serious about writing until I retired. Do you write under a pen name? If ‘yes’, what is your pen name? No, but I should have. There are way too many Robert Landry’s in this world. inspired the world called Destiny. 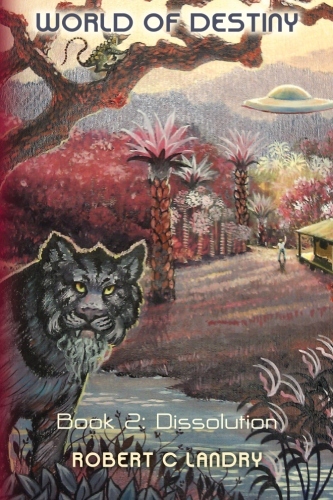 Sci-fi, adventure, with some very strong romantic goings on as well. Jared Padalecki (from Supernatural) is tall enough and from Texas so he fits my main character, Trevor Sansing perfectly. And of course Halle Berry would be perfect for Harella. Post-apocalyptic sojourn of a father and daughter on another world searching for their missing wife/mother. Is your book self-published, published and/or represented by an agency? “Rescued” was years and years in the making (pre-retirement). “Dissolution” was maybe six months (after retirement). I loved Asimov of course, but I also have a great affinity for John Scalzi. I think my writing style is probably a little bit more like his. Fuzzy Nation, Old Man’s War, and The Forever War were my favorites. The hard part about writing sci-fi is trying to be original and coming up with worlds and the creatures that inhabit them that are unique. But the story itself is a little bit like The Postman in its post-apocalyptic theme where one man can make a difference in the struggle to regain what was lost. The main character and his daughter get thrown in with a group of youngsters who have special abilities. These kids reluctantly, at first, agree to guide them in their journey, and later share willingly in their adventures. There is a strong romantic thread weaving its way through this entire series. There is also an ecological message/warning as well as a cautionary one about how we should proceed in relationships with other beings if we ever do encounter them. Are there any writing-related websites that you have found useful? Not really. Probably should have been. Lone wolf here.